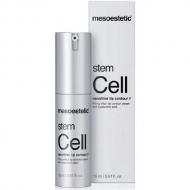 Offers a last generation antioxidant and protective cellular action. 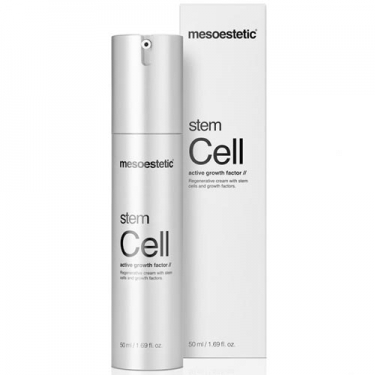 DESCRIPTION: Stem Cell Active Growth Factor from Mesoestetic is a regenerating cream that combines the action of the extract of plant-stem cells with that of growth factors to obtain a cutaneous restructuring from the interior of the cell. Growth factors are small fragments of biologically active proteins belonging to the cytokine group. 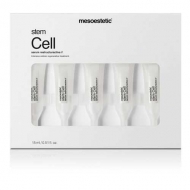 They are key elements in intercellular communication and in the external control of cellular reproduction mechanisms. They have the ability to attract and direct cells to where they are needed, thus intervening in the generation of new cells through cell division. Apply morning and evening on face, neck and lap through a gentle circular massage until the total absorption of the product.